Wow- I could talk about this one till the cows come home. I've talked some about what kinds of things we are dealing with when it comes to Miles. But I don't think that I've explained it very well, because people who know us in real life and who read this blog, still mostly look at me like I am speaking a foreign language when I talk about our attachment issues. I read somewhere that the reason that children say "da-da" first is not because they love dad better, but because they see their mothers as extensions of themselves instead of a separate entity. A child sees no separation between himself and his mother. That connection happens instantly. You don't have to do anything to have it- it just is. From the very first minute of life, a child knows his mother. He has heard her, sensed her, and bonded with her in an intimate way for 9 whole months. So when a child is separated from the woman who gave him life, even at infancy, the child feels that loss. It is traumatic. Even if you adopt a baby from day one, that child is cognitive of that loss of identity. There is no "pulling one over" on this child! You can't just switcheroo a mom. Mother's are not interchangeable. For a child to be adopted they have to experience that loss. Period. Even if being adopted is infinitely better for the child than the alternative situation, the child still feels that loss. A huge part of their identity has just been taken away. In the adoption world, rumors fly around like crazy that if you adopt a child before they are two years old, or if you adopt them and bring them home from the hospital, that you are home free from attachment problems. Not true. While some kids don't have any attachment issues at all, others just do. One kid who may have watched their parents die right in from of them may seem to not have any outward issues stemming from that where another who experienced the same thing may be traumatized for years. All kids are different and they each internalize what they've experienced in different ways- whether they are 8 years old or 8 months. Hurt is hurt. Add to the mix the dreaded "b" word: boundaries. Take a child who has lived on the streets or in an orphanage with no boundaries, no rules, no authority figures. Put them into a family where someone is telling them what to do, what to eat, what to wear, when to sleep, how to act, etc. and you can see how a child could prefer autonomy! Being a part of a family is hard when you've never been in one. Sometimes it is just too much to take in and kids push back, or shut down, or become aggressive or any other number of undesirable behaviors. It can even be in the simplest of things- if no one has ever brushed you teeth before and suddenly you have a person jabbing hard plastic in your mouth (your personal space) that is a strange new experience. For the adopted child, they don't always see this as someone trying to take care of them, they see it as being intruded upon. Same thing goes with doctor's visits, and dressing, and feeding or giving medication. A child does not see the love behind the action- they see it as being bombarded. And when a child feels bombarded it is easy to get stuck in "fight or flight" mode. As outsiders, it is easy to forget that these children have not always been cared for properly or treated nicely and therefore need to be taught how to be in a family, how to love, how to trust, how to resolve conflict, how to differentiate between positive and negative attention, etc. Those are tough things to learn. The effects of abandonment and neglect are enormous. With some children, you add in trauma, abuse, special needs, medical issues, and you can only imagine the time it will take to heal that child's heart. In international adoption and foster adoption, you also have to deal with messing with a child's sense of normal. A child who is in a horrible situation doesn't always know that their circumstances are horrible, they just see it as their normal because it is all they know. So even when you have the best of intentions in removing a child from a bad situation, you have just successfully eliminated their sense of normal. You may be bringing them into home full of love and nurturing, but when you take a child out of what they've always known, you can't expect that they will just settle into a new life without some backlash. They will fight to surround themselves with that same "normal" they came out of because that is what is comfortable to them. Many times in international adoption, we are taking a child from their native language, their native culture, their native food- we are taking them away from everything that is familiar to them. That is a lot for a child to internalize. It would only be natural for a child who can't internalize that huge transition to take out their confusion about what has just happened to them on the people who took them away from their comfort zone (even if that comfort zone is a war zone). The person who bears the brunt of attachment issues, is usually the primary caregiver. Why? Because they are the people enforcing the rules, brushing the teeth, dispensing the medication, disciplining, taking the child to the doctor, enforcing bed time, homework time, etc. They are also the people giving the kisses and the hugs and the most love. And if you've never had hugs and kisses and love, that can be pretty dang uncomfortable for children. 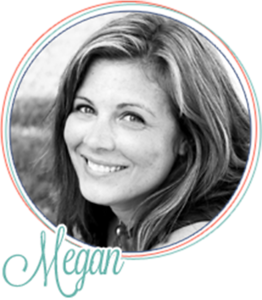 For many children who have been abandoned or "given up" for adoption, their very sense of self worth is shaken to its core. After all- "if my own mom didn't want me, I must be worthless". That happens even in pre-verbal children. Rebuilding a child's sense of worth is tough business. If you are the adoptive mother constantly telling your child, "I love you- you are special to me" that child is going to think that you are a liar because you are going against everything they are feeling about themselves. That child is going to push back and fight attaching with all they have to try to preserve the only sense of self they know. And that can be ugly. Another reason that the primary care giver bears the brunt is the sheer level of comfort. Often times, children fight the most with the people they are most comfortable with because they know that it is a safe relationship. My best friend described this in a wonderful way the other day. She said it is like having a horrible day and taking it out on your spouse, even if the spouse has nothing to do with the horrible day. You do that because you know at the end of the day that spouse will still be there, will still be loving, will still be supportive. That relationship is a safe place to decompress. Our children who have experienced loss and trauma, have emotions they need to get out: anger, sadness, grief, confusion, hurt- and the parents bear it, because our children need that safe relationship to vent. In Miles' case, that is exactly what he does with me. The intimacy of a relationship with me is often times just too overwhelming for him and so he revolts. He has glimpses of times where he attaches to me in normal ways, but I can tell that he is fighting it. I think is that child's mentality that if you don't attach, you can't get hurt, right? You won't be re-abandoned. It is all about keeping a safe distance. He will cling to strangers and acquaintances because that is comfortable for him. He doesn't have to have meaningful relationships with them beyond a short period of time. After all, those people aren't the ones responsible for the discipline or the teaching or all the other things that are uncomfortable for children who've never had structure and love. Those are people who are purely there for fun. It is like divorced parents playing good cop bad cop against the other one. It is heartbreaking for me that Miles can let other people hold him and love all over him and he acts like he enjoys it. Yet, he doesn't let me do that for him very often. People have actually looked me in the eye and said, "Well see, he likes me. It must just be you." They say it kind of jokingly, but it cuts right to the core. (And yes- that person made me cry. But then I realized that they are just ignorant. Not stupid, just ignorant of how it all works.) But that is just the nature of attachment problems. They are isolating because most of the time our children are delightful to others. And that is why most parents of children with attachment disorders suffer in silence- because other people don't understand what they can't see behind closed doors. 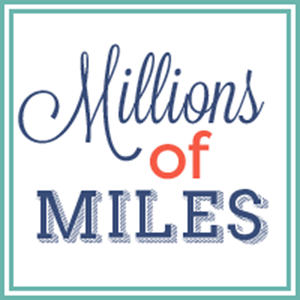 I won't go into Miles story, because that is his personal story to share if/when he chooses. A lot of the details we don't know ourselves. Let it suffice to say that there is lots of loss on many different levels and it has definitely impacted him. When we met Miles' foster father, his only words about Miles,as he watched me holding my son for the first time were, "He is very serious, this one." And he was right. Miles takes in everything. And he's had some rough stuff to take in. But right now, I am feeling really good about where Miles is. He is struggling, but we are finding ways to manage his anger and frustration and help him heal. (I will do a whole other post about how we are doing this soon) I know that it won't happen overnight. But the small amounts of progress that I see in him already give me so much hope. And the better hours are starting to even out the really bad days. He's learning how to be in a family and he's still got a lot to learn. But he's going to make it, that kid. He's going to heal. It will take time, but he can do it. I know it! I hope that in some way, this maybe helped you understand what some adoptive families go through in trying to help our children heal. As adoption becomes more and more common, the chances of you having a close friend, co-worker, or someone in your church who is part of an adoptive family are pretty great. If being armed with information about what their children might be experiencing can in any way help you minister to that family then I am happy to share!